Allergies are also defined as hypersensitivities. They are a group of disorders caused by a body reaction to an allergen or a trigger that stimulates your immune system and starts a cascade of chemical reactions that end up with bodily changes such as skin rash, itchiness, coughing and asthma, and in severe cases, it may be fatal. How can we diagnose allergies? 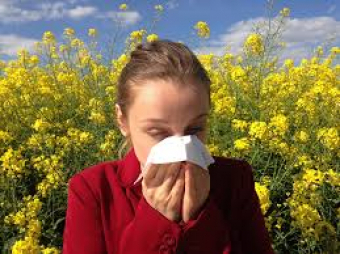 Allergies can be diagnosed either clinically by observing how the body reacts to different triggers for example when you are exposed to dust or pollen, and you develop sneezing or excessive coughing this is a form of allergy called environmental allergy. This type of allergy is called an immediate hypersensitivity reaction or allergy as it happens in a very short time after exposure to the triggers. Can naturopathic doctors treat your allergies? Most patients with allergies can benefit from the naturopathic care. The main line of care from the naturopathic side is to look for the root cause of the problem abs start working on its elimination and avoidance of being exposed to it or at least minimizing exposure to it. The other line of treatment is based on modulating the immune response of the body to the allergen not just suppressing the immune system. Still, have questions? Need help?